This week's highlights include Evernote updating its integrations with Slack and Salesforce, Jamf Now adding a new tier of service, Rome: Total War marches onto iPhone, Feral shows what to expect of Tropico on iPad, and Microsoft warns of the departure of Sway. Following on from last week's branding changes, Evernote has updated its integrations with Slack and Salesforce, to make it more effective for business-based users of the note-taking app. For Salesforce, Evernote can now be accessed from within Salesforce itself, with pinned content from Evernote visible to other team members, and notes tracked within a record's activity history for managerial monitoring. There is also two-way synchronization and search, so a note in either app can be synchronized with the other, and everything is searchable across them both. For Evernote Business and Slack, notes can be produced in the communications tool without leaving it, including the creation of an Evernote listing called "Note to self from Slack." Slack conversations can also be saved to Evernote for future reference. Apple device management firm Jamf has updated its mobile device management tool Jamf Now to include a new tier of functionality: Jamf Now Plus. Aimed at businesses that want more powerful management workflows, the Plus option allows for the deployment of software not available from App Stores, such as Google Chrome, Adobe Creative Suite, Microsoft Office, or custom apps. For all other users on the existing Jamf Now Standard tier, there's now support for macOS restrictions, 50 new restriction commands, a streamlined configuration template, and new pre-pay billing options. Get it now: From $2 per month. 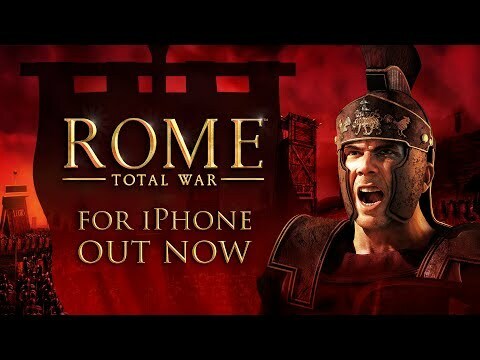 Feral Interactive has ported Rome: Total War to iOS, bringing the Creative Assembly real-time strategy game to iPhone for the first time. Originally out on iPad, the iPhone version has an interface tailored for the smaller screen, including enhanced touch controls. The release also takes advantage of the latest version of the Metal API for improved performance, enhanced graphics, and reduced battery usage. The iPad version has also received improvements, including color-coded tooltips for units on the battlefield, easier merging of depleted units and longer draw paths on the campaign map, new camera options, and detailed summaries of factions and characters. It also benefits from the Metal API updates. As a universal app, owners of the iPad version can play the same game on their iPhone at no additional cost, complete with their existing save file transferring between devices. Get it for iOS: $9.99. Requires iOS 11 or later. Also requires 4GB of free space to install. Feral Interactive has revealed what gamers can expect from its port of Tropico to the iPad. The remake of the island management game makes its way to the small screen with a new interface to take advantage of the touchscreen, with an easy-to-access menu to allow players to perform the actions they want as quickly as possible. Taking the role of El Preidente, players have to plan out the infrastructure of the island and build its economy. Monuments and buildings can be constructed and various facilities put into place to keep the populace happy, along with mandates that can be issued to improve each part of the island nation. 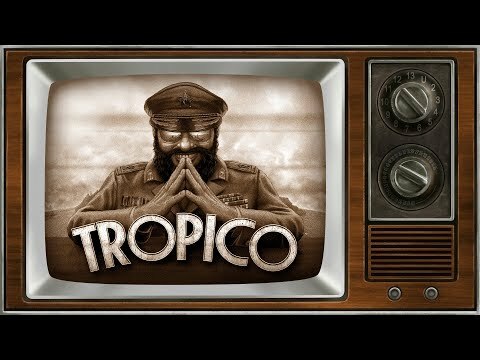 Arriving this fall, Tropico will be a premium title with no microtransactions, with the full game available to players upon purchasing. Get it for iOS: This fall. Microsoft has revealed it will be retiring its Sway iOS app on December 17, 2018. The Office app, which allows users to quickly produce presentations and newsletters, is being stopped on iOS as Microsoft is "consolidating the Sway experience" to work online. All Sways created through the app will continue to be available via the Office 365 account, and will be accessible through Sway online. The iOS app will remain usable until the closure date, then it will simply display a message advising users to Sway online. While closing in December, the iOS app will still be available from the App Store until October 19.